I am so happy to welcome you into the Aromatic Wisdom Community! As a token of my appreciation, you will receive my free report called Personal to Professional: The 5 Paths for Greater Health, Wellness and Income. 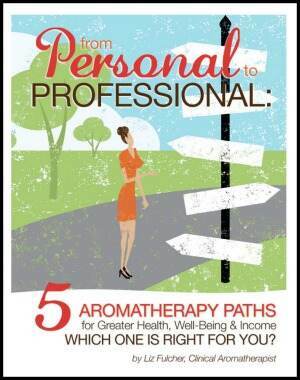 This guide will give you some insight into the different ways you might practice aromatherapy after you’ve had some training. Got 2 more seconds to spare? Can you pop over to the Aromatic Wisdom Institute Facebook page and hit the “like” button? This will help the school grow so I can better serve you.